Home » Politics & Society » Powerful or powerless? At first sight the question sounds trivial. Who would choose to be powerless? Many though have no choice but to remain politically powerless. Around the world, millions live under dictatorships where power is jealously guarded by the few. Any attempt to produce change can result in imprisonment or death. In contrast, we live in one of the freest societies on Earth, where power is dispersed and readily available to those who seek it. Despite this, looking at the Muslim community today, one sees a community that has relatively little political power. Muslims are just over 4% of the population. As there are 646 members of Parliament, 4% would represent over 25 MPs, yet there are only 4 Muslim MP’s today. Conversely, the Jewish community represents about 0.5% of the population, yet the Jewish Chronicle newspaper has printed a list of 52 Jewish MPs. Mathematically, these statistics mean that on a per person basis the Jewish community has 104 times the political influence of the Muslim community! Simply railing against government policies is a sign of powerlessness, and of itself changes nothing. Changing government policies takes time, effort and strategic thinking. There is a long list of actions open to all citizens, some very easy and others more difficult. Politicians need votes to gain office. Imagine if you could guarantee to all politicians that you would never vote under any circumstances. Immediately, you would have made yourself electorally irrelevant; no politician need care ever again about what you think or feel since you are never going to vote. Instead, the first step towards becoming politically relevant is to vote in every election, and even more importantly make it clear to every politician you speak to that you will vote, depending on how you assess the issues, and that your vote cannot be taken for granted. In general elections, about half of the people do not vote. That means the government is chosen by the rest, who do vote. Politicians and newspaper editors do pay attention to letters they receive and are influenced by both the quantity of letters received and by their quality. The more effort you put into writing a polite, clear and well crafted letter, the more impact it will have. I have twice spent several hours composing a one-page letter to a national newspaper editor to complain about an article; the reward for the effort was receiving a letter of apology from the editor. One caution is not to use email; it is too easy to ignore. A paper letter that you have printed, signed, paid for to be posted, and physically gone to the letter box to post has far more impact than an email where you spent 30 seconds cutting and pasting someone else’s text before pressing “send.” The paper letter sits on the politician’s desk until he chooses to ignore it or respond. Most of the time you will get a reply. No matter how curt or deadpan the reply, you will have made your point. This is the single most important thing that any citizen can do to increase his or her political power. The price in money is very low. When I last checked, the minimum subscription was £38 pa for the Labour Party, £25 pa for the Conservative Party and £10 pa for the Liberal Democratic Party. In Scotland, Wales and Northern Ireland the local or nationalist parties are also valid choices. Under our “first past the post” electoral system, joining any other political party means choosing to be powerless, since those other parties have no realistic prospect of national or local power. The time commitment afterwards is up to you, and can be as little as attending one meeting every five years. That is the meeting at which candidates for the general election are selected. It is the political parties that decide who gets onto the ballot paper, and usually every party member in a constituency is entitled to vote in the selection process. This involves no more money, but will require time being spent on activities such as delivering leaflets and attending internal party meetings. In return, you can rise in the party hierarchy. It is activists who form the short listing panel which interviews aspirant candidates to select those who go forward to be voted on by all the party members in a constituency. If you become the chairman of the constituency party association, you can be sure that the MP will answer his or her phone when you ring! You can do all of the above by single citizens acting alone. In a few months or even a few years, increased activism may achieve relatively little. However if you want to see how much can be achieved by focused effort over many years, you need look no further than the influence of the pro-Israel lobby in the USA (documented in the book, The Israel lobby and US foreign policy by John J. Mearsheimer and Stephen M. Walt) and in the UK. Muslims will not achieve that level of influence overnight; it will take decades. However, every step forward, every individual who joins a party, makes a difference. Never underestimate how much impact even one person can have. The choice to have some power or to remain powerless is yours. Where will the Muslim community be in 10 years time? The American baseball player and manager, Casey Stengel, said that predictions should always be avoided, especially about the future! I have no more power to predict the future than any other person. However, with application, in the course of a decade Muslims could transform their representation within political parties, including roles such as constituency party chairmen, and be well on their to dramatically increasing their representation in Parliament. 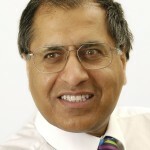 Mohammed Amin has lived in the UK for over 55 years, and is the Chair of the Business & Economics Committee of the Muslim Council of Britain and Vice Chairman of the Conservative Muslim Forum. He believes passionately that it is the duty of citizens in a democratic society to engage in politics. Mohammed Amin is writing in a personal capacity and his views should not be attributed to any of the organisations with which he is affiliated. I think one of the biggest problems here Mr Amin, is that much of the Muslim community feels that voting is haram; they thus completely lock themselves off from politics. There are whole communities, especially in the North of England who regularly refuse to go anywhere near the ballot box, often claiming such political involvement to be “Shirk”. The bigoted simpletons who spread such moronic attitudes and those that agree need to be challenged, especially by those in the community who exercise some power: Mosque Imams etc. Although I do see a slow improvement in our sorry state of affairs, I don’t see radical change occurring any time soon; this is partly owing to the number of brain dead Imams our community has imported from (largely) the subcontinent. The supposed religious objection to voting is completely invalid in my view. Accordingly, as well as encouraging Muslims to vote, the MCB should be actively encouraging them to join the mainstream political parties. “I think one of the biggest problems here Mr Amin, is that much of the Muslim community feels that voting is haram”. I would beg to differ. Many are just not engaged or interested with the process, for whatever reason. That’s what the underlying problem is. It is not solely due to supposed religious issues. Not for the majority at least. Nowhere in my comment did I suggest that lack of Muslim voting is “solely due to supposed religious issues”; you’re putting words in to my mouth. What I said was that a belief in voting being haram was amongst the biggest problems, not that it was the biggest. Just to clarify, even if this number was 5-10%, I would regard it a big problem. Such thinking is part of the reason why in several majority Muslim areas in the North (i.e. regions around Oldham), there are a large number of BNP councilors. I feel this problem largely owes to a lack of education; the areas I am referring to are amongst the poorest and most run down areas in the UK. In line with this, I have found this problem to be far less apparent in the areas surrounding London, most probably owing to a larger concentration of Muslims from a more diverse background, improved living and schooling conditions, and easy access to a plethora of Muslim scholars. I only quoted what you said. Please do not be offended by your own words. One can argue that the issue of voting is more of a concern for those of a particular ultra-islamist leaning, than the normal literalists. The ultra-islamists are a fringe minority. Please do not mix up the islamists with the literalists. Many “literalists” (as you put it) are actually apolitical for the sake of it, more so than shouting out that “voting is haram”. In fact, while we are using labels, let’s also have a pop at the “spiritualists”, many of them are also not bothered. And that is my point. Many don’t vote as they are not engaged with the process, not due to dumbfounded myths or mistaken beliefs. You are correct on this point. Education is needed to encourage non-voting Muslims to vote. Let’s leave it at that. I hope I haven’t offended you in any way Akhi. Appreitciaon for this information is over 9000thank you! Parts of this post will be pedantic. Towards the end of your fist comment you mentioned “It is not solely due to supposed religious issues. Not for the majority at least.“ ; I made no such assertions, thus asked you not to put words in to my mouth; perhaps I could have used more friendly wording. Moving onwards, I didn’t intend to take a “pop” at anyone brother. Overtly “spiritual” muslims have their problems (depending of course on how you construe spirituality, which is another argument in itself), my comment didn’t negate this; this isn’t a sectarian competition. The fact of the matter is that those that argue voting is haram are usually of the literalist variety (be they of the “Ultra-Islamist”-literalist variety). With all due respect, just to clarify; in usual discourse, the term literalist is used pretty loosely; it usually denotes someone who is blinkered, incapable of understanding metaphors, lacks objectivity in their interpretation of text, and cannot contextualise, amongst other things. I didn’t mean to use it in a definitive manner (I don’t believe there is one). Furthermore, if you’re not a literalist, this doesn’t mean you’re not able to appreciate when the literal meaning of a text is more suitable: rather, you perhaps have the best of both worlds. Also, I mentioned they were a “type” of literalist, (I didn’t imply that every literalist would be of the opinion that voting is haram, nor did I implicate “normal literalists”, whatever one of those is). I haven’t thus mixed any quasi category with the other. You would be hard pressed to find a similar voting-is-shirk argument coming from a “spiritualist” (I assume one of those would be a liberal Sufi right?). Again, before you think I’m biased against anyone/ enjoy taking pops, I can assure you this isn’t the case. I have my reservations about certain “spiritualists” too, it’s just, these reservations aren’t so relevant to my specific point. There is a reason why hundreds of Fatwa’s and counter Fatwa’s have been issued in recent times on the topic of voting; with there being such a raging debate, and with factors I highlighted earlier, I feel it is an issue we cannot afford to brush aside as de minimis. You keep bringing up issues surrounding apathy towards politics. Apathy and sheer laziness are MAJOR problems; they are of more significance than the topic I have attempted to address, I agree with you. If you were to make a comment highlighting frightening demographics/ apolitical Muslims, I wouldn’t at all put up a counter argument. Another huge issue we face I believe is that of defeatism, which was addressed brilliantly in the above article. However, all this doesn’t have much to do with the reasoning in my post: I was discussing a more distinct issue. Ultimately, the way I understand things, you believe the whole voting-is-haram mentality isn’t very prevalent in our community, or at least not prevalent enough for me to kick up a fuss about it on this website; I feel we should at this point agree to disagree.